Inside the device, there is 1.2GHz Quad core processor which can score good points in Benchmark tests as well. With 1GB of RAM, this phone seems promising. 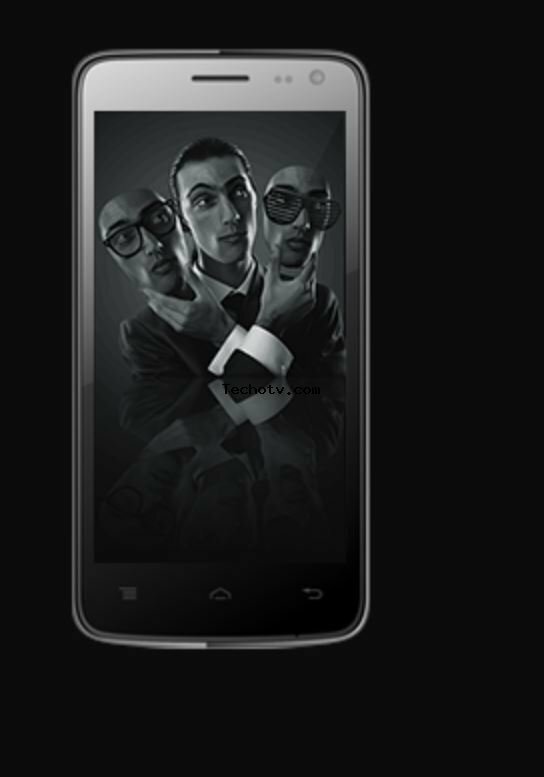 The screen resolution of Xolo Q700 phone is 960*540 pixels and the display is of 4.5 inch. The total pixel count leads to density of 245 ppi. It measures 135.8 mm x 67.5 mm x 10.2 mm. It has internal memory capacity of 4 GB. The primary camera at the back of device is of 5 megapixel. 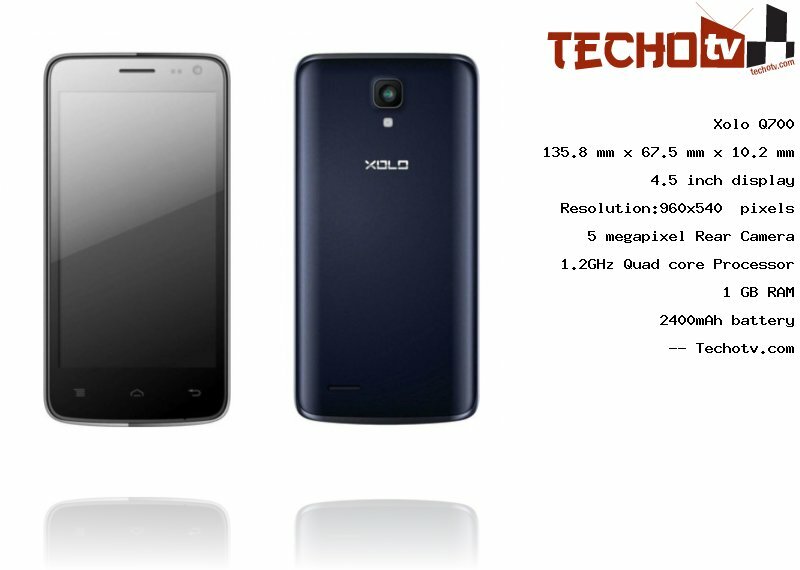 There is 0.3mp VGA camera at front for video-calling and other needs. 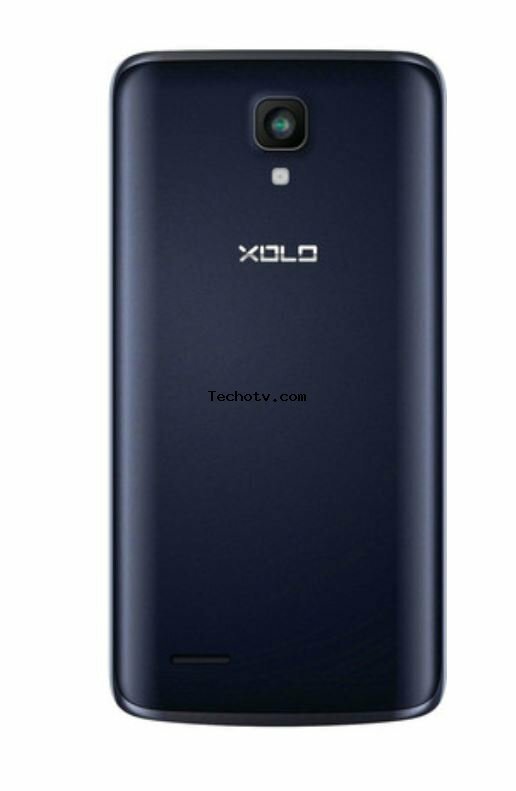 The Price of Xolo Q700 is Rs 9999. More pricing details from different online stores are not available at the moment. Sensors - Accelerometer, Magnetometer, Ambient light sensor, proximity sensor. Camera features - BSI CMOS Sensor, Autofocus, HDR, Panaroma, Image stabilisation, etc.